Fourth of July is right around the corner. This year it falls in the middle of the week on a Wednesday, so whenever you’re celebrating this weekend or next weekend, here is a perfect quick party appetizer. 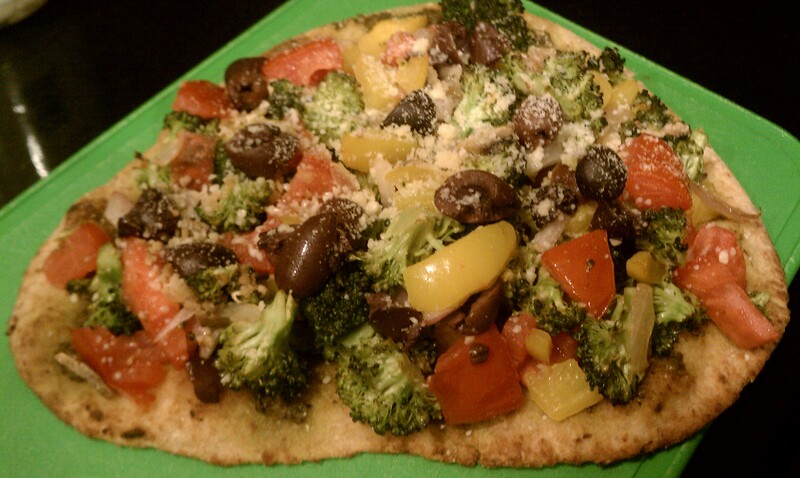 Everyone loves pizza and this simple recipe creates a healthy version for veggie lovers. And it pretty much rivals the delicious pizza you can get at Pizza Fusion. In a saucepan on medium heat, saute the garlic, coconut oil, and onions. 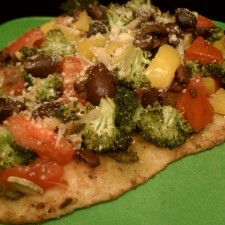 Then add the broccoli and peppers. Add the tomatoes and mushrooms last because they don’t take very long to cook. Do not add olives to saucepan. Preheat oven to 400 degrees. Place the Naan bread on 2 cookie sheets. Spread pesto sauce over Naan bread. Pesto can be very overpowering so you don’t need that much. About a tablespoon per slice is good. 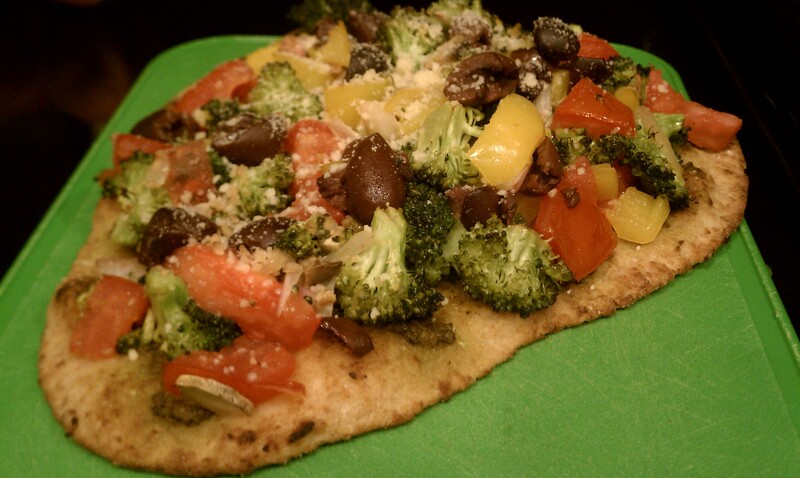 After the sauteed vegetables are soft to your liking, spoon them on top of the Naan bread. Evenly spread the mixture across the bread and to the ends of the bread. The higher you pile the vegetables, the harder it will be to cut and serve without utensils, so make sure the vegetables are a light topping if you’re making a passed appetizer. 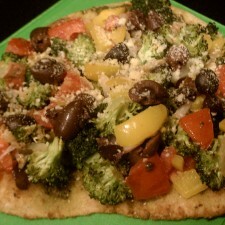 Add the kalamata olives on top of the vegetables. Then sprinkle with Parmesan cheese. It can be fresh or dried Parmesan. Bake the pizzas for about 5-8 minutes or until the crusts harden just a bit. Remove from oven. Sprinkle with more cheese if desired. Cut into pieces and serve on flat platters. Enjoy!